A new sponsor on the previous seasons shirt - at least some people had heard of Classic FM. 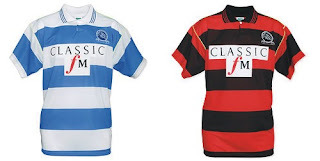 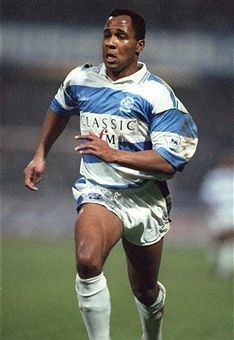 The nature of the Classic FM logo did not fit well into the hoops, especially on the away shirt. Modern day replicas still prove popular though, probably due to the shirts being associated with a decent season. 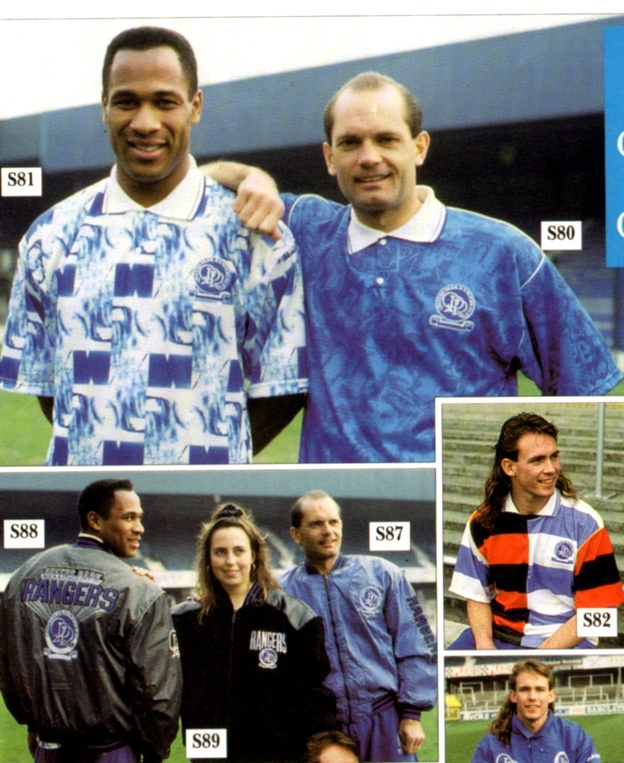 The leisureware of the time had to be avoided at all costs, ghastly stuff!